Written for students with some exposure to economics concepts and analysis, "Economics of Sport" is ideal for a lower division elective course for economics majors, for masters students in sport management, or for economics professors who are in the process of learning more about the sport industry. In its newly updated 13 chapters, this second edition defines the sport industry and reviews economic concepts before examining in detail such central issues as benefits and costs, the theory of the firm, profit maximisation as a major motivator, and alternative motivators in non-profit organisations. Drawing the student deeper into the functions and limits of sport economics, the book discusses elasticity of demand and supply, and examines market structures, from perfect competition to monopolies; analyses various reasons for government-provided sport, community sport, and private enterprise, and the reasons for mergers and acquisitions. The book also: assesses the contribution of the sport industry to the U.S. economy; surveys and relates the economic impact studies used to justify spending, the labour-related issues in the sport industry, including professional athletes, public relations directors, and sales representatives in various types of sport firms and organisations; and details the economic theories related to both government and industry self-regulation applicable to the sport industry, and the antitrust laws and their applications in the sport industry. 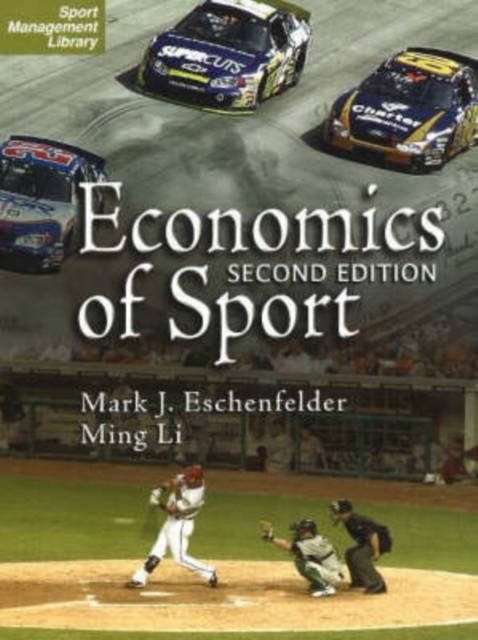 "Economics of Sport" is a thorough and accessible text, perfect for everyone who wants a complete understanding of the sport industry today.